I can’t say I’m terribly shocked to have seen so much double denim amongst the fashion set at Palihouse tonight. Is there any better look? 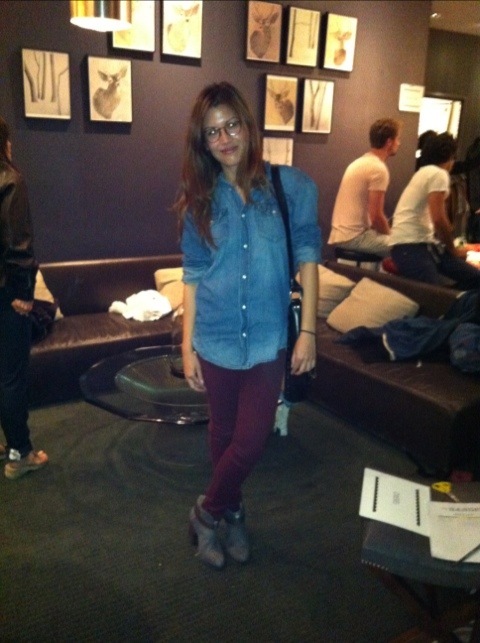 Here is Natalie rocking ampersand brands head to toe: H&M denim shirt, Rag & Bone boots and Rich & Skinny jeans. This entry was posted on Thursday, March 22nd, 2012 at 11:19 pm	and tagged with Canadian Tuxedo, Denim, Denim on Denim, double denim, Fashion, H&M, Jeans, Los Angeles, Palihouse, Rag & Bone, Rich & Skinny, Tiny Bandit, West Hollywood and posted in Fashion, In The Wild. You can follow any responses to this entry through the RSS 2.0 feed.